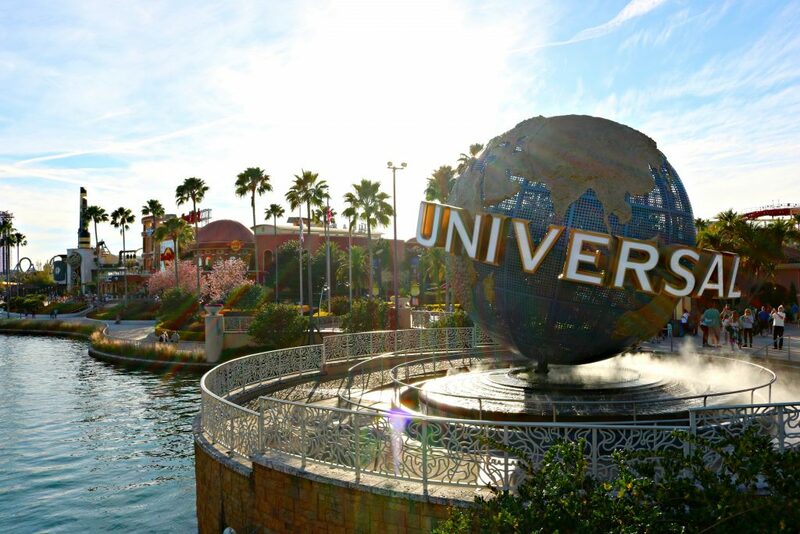 Universal Studios Orlando Resorts has so many things to do. 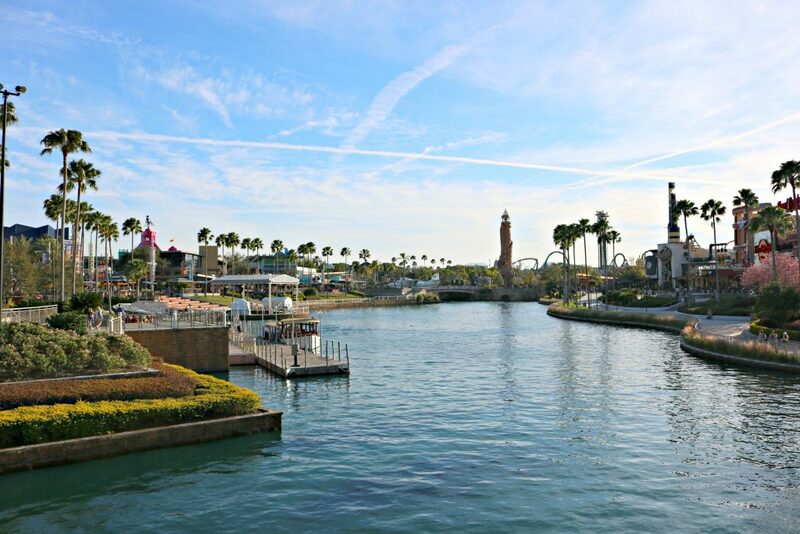 From the Islands of Adventure to Universal Studios and the amazing resorts like Cabana Bay Beach resort. 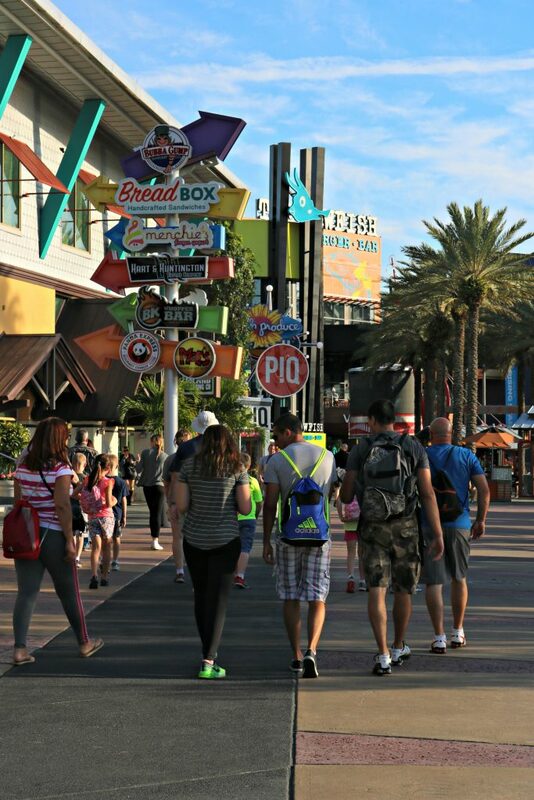 Did you know that they have CityWalk, a fun and entertainment district that you can explore for free? 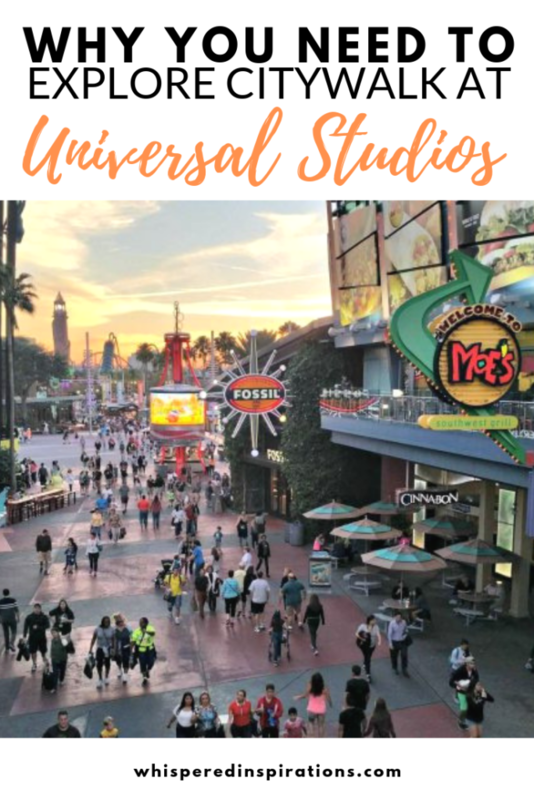 Whilst on our Universal adventure, we had the opportunity to explore CityWalk in Orlando and I have to say that it is one of the most lively places that I have visited in a while! I love being able to go somewhere and have everything imaginable available to me! 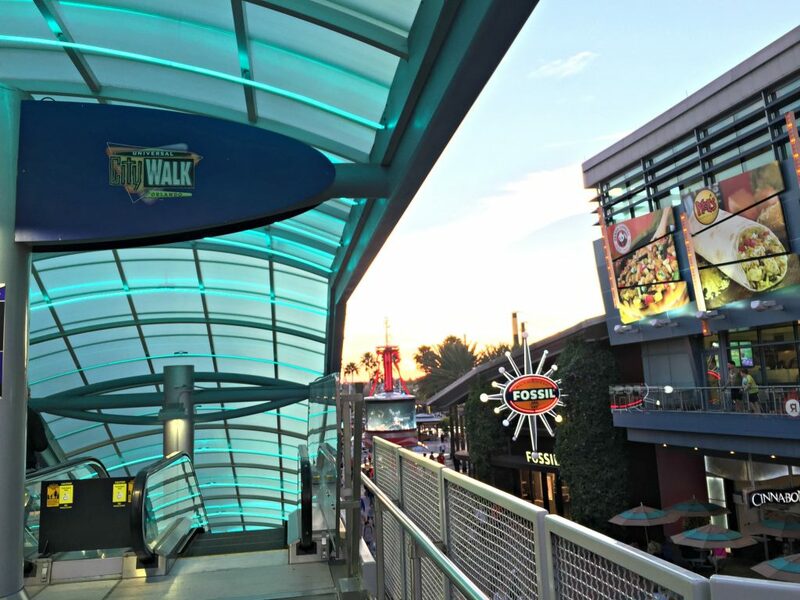 CityWalk is conveniently located in between both Universal parks and there are shops, restaurants, and entertainment venues throughout the CityWalk section. 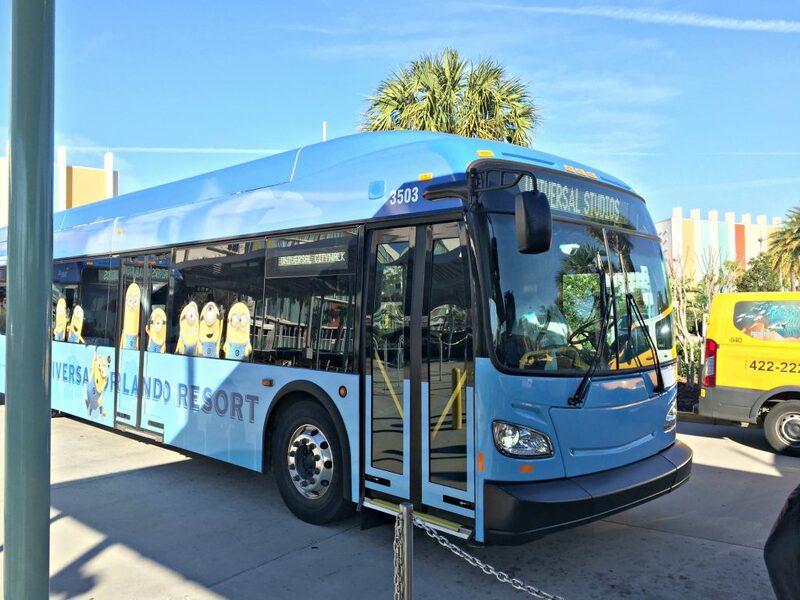 We were staying at Cabana Bay Beach Resort and took the bus to CityWalk. As soon as I arrived at CityWalk, I realized that it is a place that is busy from early in the morning until late, late at night. 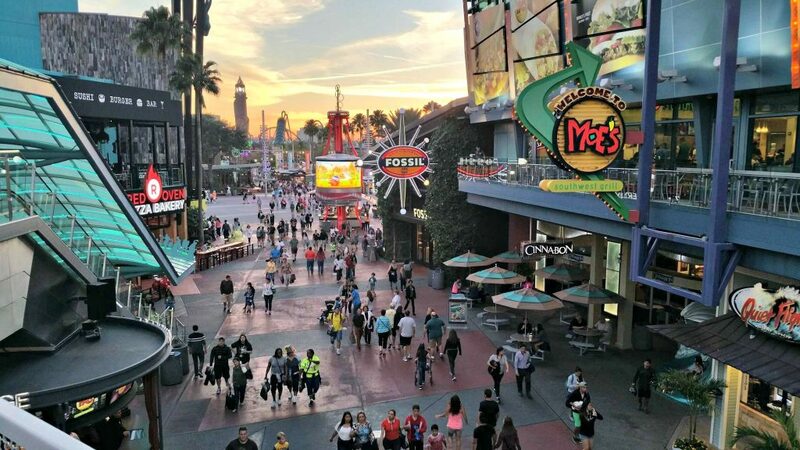 I saw people stopping into a store or restaurant as they were park hopping and then as the day continued and the parks closed, CityWalk really came alive in front of my eyes. There are twenty-five restaurants along CityWalk and you will probably be as amazed as I was at the variety of options. As I walked around, I found fast food restaurants like the Burger King Whopper Bar and Moe’s Southwest Grill next to sit down restaurants like Jimmy Buffet’s Margaritaville and Hard Rock Café Orlando. Emeril Lagasse even has his own restaurant on CityWalk called Emeril’s Orlando and reservations are recommended if you want to be one of the lucky ones to dine there, especially during the busier times on CityWalk. We ate at the Cowfish and the food was incredible. It is a fusion restaurant so you can bet that the food was going to be good. I had an incredible burger that was out of this world. Darasak had a bento box with sushi and burger sliders and the girls had PB & J sushi. My brother Frank, had the “All American Bacon Double Cheeseburgooshi” which was sushi with burger filling. Check out his Instagram for more fun pictures of our visit. The atmosphere is fun and it was a lively place to eat! Entertainment is available at both the Hard Rock Live Orlando and Bob Marley – A Tribute to Freedom, but the most popular entertainment venue on CityWalk is where the Blue Man Group performs. During a Blue Man Group performance, you will experience comedy, theater, a rock concert, and a dance party all at the same time. Of course, you do not need to listen to live music or watch a performance to have a good time while you are at CityWalk. 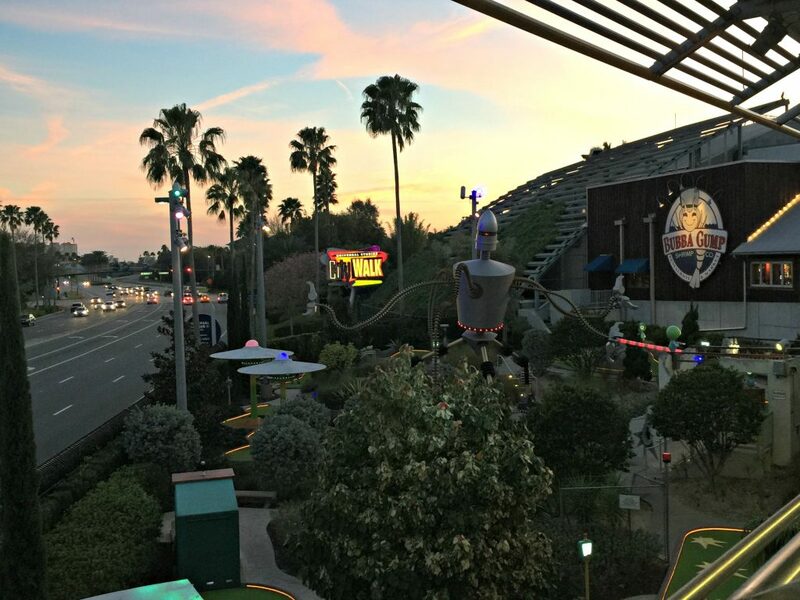 You can also watch the most recently released movies at the AMC Universal Cineplex 20 with IMAX, perform karaoke at CityWalk’s Rising Star, or play a round or two of mini-golf at Hollywood’s Drive-In Golf. 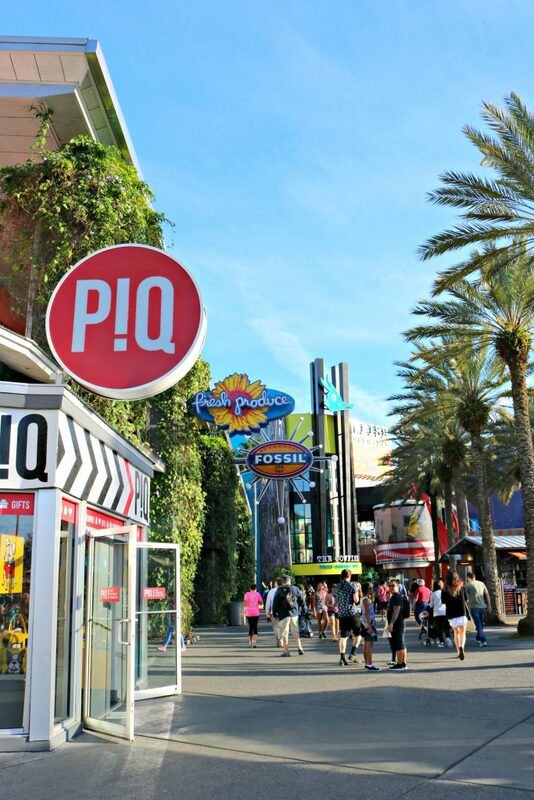 If you love shopping but are not a fan of the usual souvenirs, you will love wandering in and out of the shops on CityWalk. Hart and Huntington Tattoo Company has a wide variety of stylish clothing while P!Q has a large variety of unusual gifts, toys, and accessories for anyone on your shopping list. I discovered that CityWalk is a wonderful venue for families, groups of friends, and even singles. 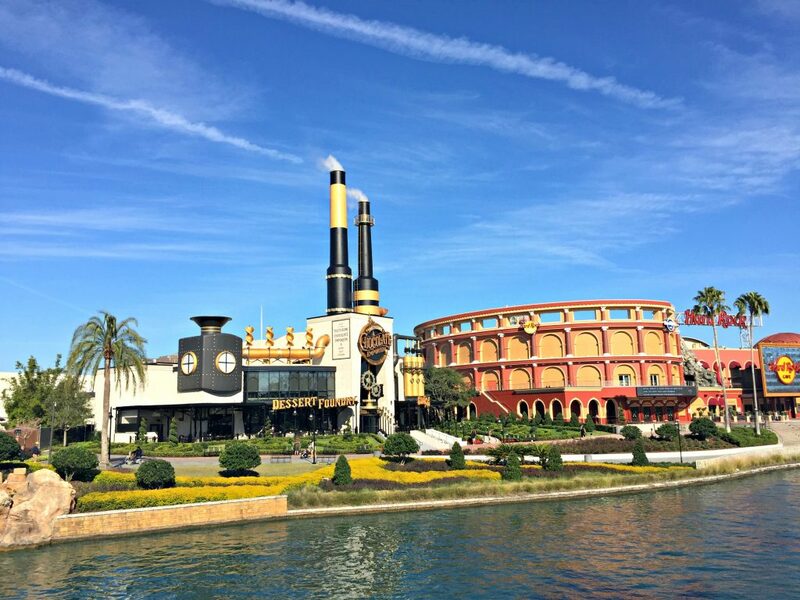 Everyone can spend as much time as they want there and can combine CityWalk with a day or multiple days inside both Universal theme parks. If you haven’t experienced CityWalk for yourself yet, then I recommend that you plan a time to get down there sooner than later. You will have the best time of your life! Check out our experience at Universal Studios and the Wizarding World of Harry Potter. What entertainment do you look for when you travel? Will definitely have to check it out next time we make a trip to the area, which hopefully will be in the next couple of years. That is awesome. 🙂 Hope you enjoy it when you make it there. I’m going to be in Orlando in May and CityWalk looks like so much fun! I will definitely make a point to get by there on one of my days in the city. Lots to do there, nightlife too. Always something going on. 🙂 Enjoy. This looks like so much fun! I’d love to go there! For travel with the kiddos I look for fun restaurants that is kid friendly and good food for us all. I also look for other fun activities or places the kids will enjoy or something we can do as a family. We go to Kansas City every year since it’s just a 2.5 hour drive away from us and we always have a blast there. That is awesome and great things to look for. Hehe, it is still possible. Hope you make it out soon! 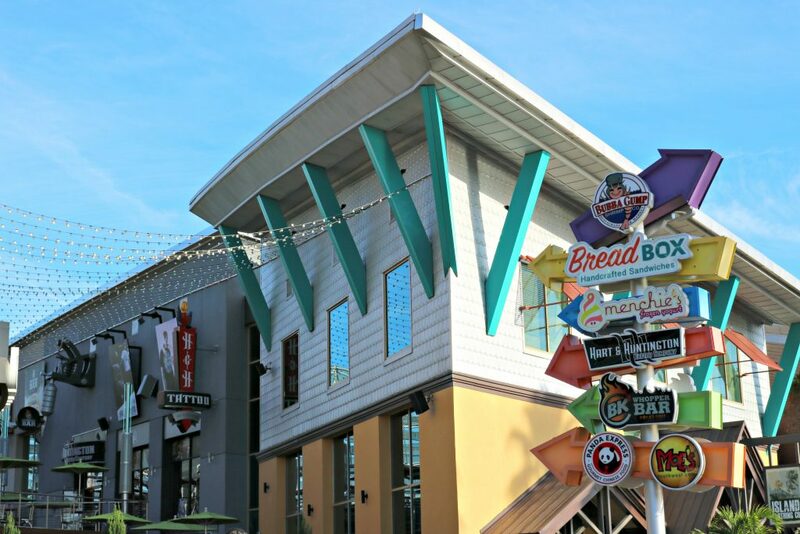 I have visited the City Walk at universal Orlando and it does have arrays of shops and food. I would also add to bring comfortable shoes as there is lots of walking. Yes, that is very true. Thanks for the tip! City Walk is tons of fun! I once photographed a wedding there at the Hard Rock! It was EPIC! Of all the times we’ve been to Orlando, we’ve never been to CityWalk. Wonder if it is the same as the one in L.A.? You should plan for it next time. So much to do! I live right near Orlando and I can’t believe how many years it has been since I have been to Citywalk. Looks like they have made tons of improvements. Hehe, now you have to come and see them! Wow looks really awesome. Looks like there is lots in the area, which is great you dont want to have to go all over the place looking for things to do! One day hoping to be able to explore something like this, never been to Universal! It is lots of fun. Hope you can! 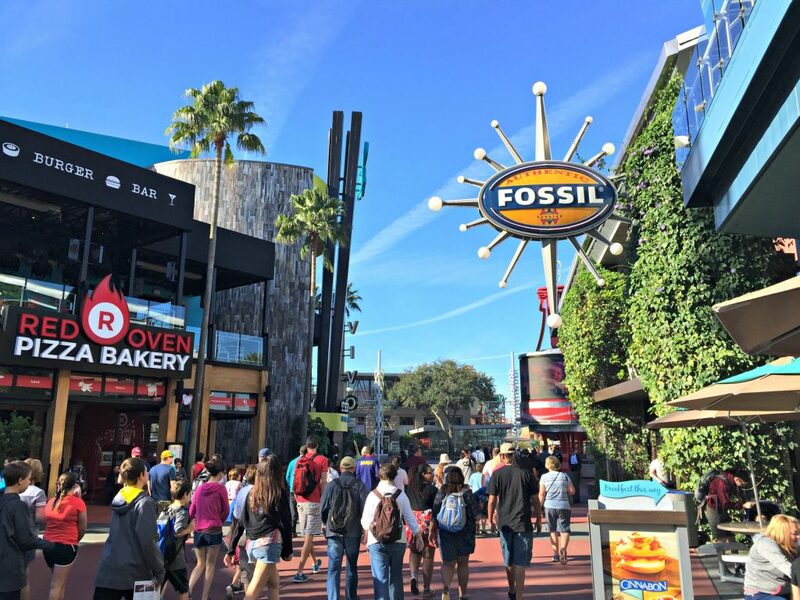 Looks like CityWalk is something you shouldn’t miss when visiting Universal theme parks! I’d love to try some of their restaurants! Yes, they have lots of options. CityWalk is so cool! We tend to go earlier in the day since our kids are still fairly young and it can get a bit crowded at night, but there are SO many shops and restaurants! Yes, it is always poppin at night! CityWalk is the best! We’ve done it a couple of times, and we had so much fun. This is a great resource. We’ve been to Orlando several times, and we’ve NEVER tried City Walk before. Thank you so much for sharing this. We’re definitely making sure we get in on this for our next trip. Sweet, hope you enjoy it as much as we did Vera. Oh,Nancy you must have had a blast the photo’s are amazing! This really makes me want to go back to Universal Studios! We went there for one day back when we were doing a Disney trip. Most all of us of the 8 in our group agreed we enjoyed Universal more! Hehe, Universal has amazing entertainment, that is for sure. We have not been to Disney’s Universal Studios yet but have been talking about going. When we travel we look for fun free or fairly cheap things to do. Citywalk sounds like something we would really enjoy. Thanks for sharing your experience. I haven’t been to Universal Orlando in years. I’ll be out that way so I might have to plan a stop and see all the new changes. Our first stop would be the pizza place that was in your photo. We oove trying a variety of pizza especially when we travel. Different areas make it differently. We never had a chance to to yhe CityWalk near Universal Studios. My kids opted for Disney instead. Hehe, that is fun. You are right, they do do it differently. That is awesome. Glad you enjoyed it. CityWalk looks like fun. I will have to check it out the next time I go to Universal. I always look for things the whole family can do together. This is a great place to do that for sure, have fun. I haven’t been to Universal in such a long time! It’s on my plans this summer! We’ve never been to Orlando, but it’s on our bucket list. Will definitely check CityWalk once we’re there. Looks like a super fun place! So fun, and lots to do. This is a place, I’ll make sure I won’t miss when I visit Orlando. It looks super fun. It is definitely so much fun! We like to look for the hidden gems when we travel. They’re often not as fancy or glitzy but usually a lot more intimate feeling. That is nice! Those are fun too but, sometimes you want to have this type of fancy and glitzy fun. 🙂 You can make any experience intimate. Me too, it is so much fun. This sure looks super fun,my niece and her girls are going in April i have been telling her about your post. I have never been to Orlando but If I ever go I would make sure I go to City Walk. Seems like a lot of fun and lots to see.